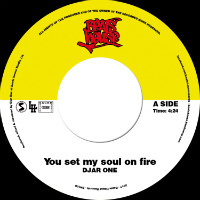 Rating: Fresh from the success of his Andy Cooper-featuring b-boy 45 in September, Djar One ensures those at the get down remain getting down with some sweet edit action from new seven inch You Set My Soul On Fire. 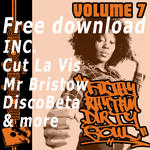 Could that be an edit of a certain Chi-Lites number famously sampled by Beyonce? It could! And that brass everyone fell crazy in love with then is in full effect again along with an extra layer of heavy drum break. Probably best if there’s something properly stomping on the flip in that case too, yeah? Perhaps a mod-style soul jazz groover with big drums? Maybe call it Movin Now or something? That should do it. Don’t hang around when this drops though – it’s a limited 300 pressing run.